On November 12, 2017, Dubai Air Show began. Two Antonov airplanes are exhibited here: AN-132D aircraft-demonstrator, prototype of the AN-132 multipurpose transport and AN-70 military STOL transport. 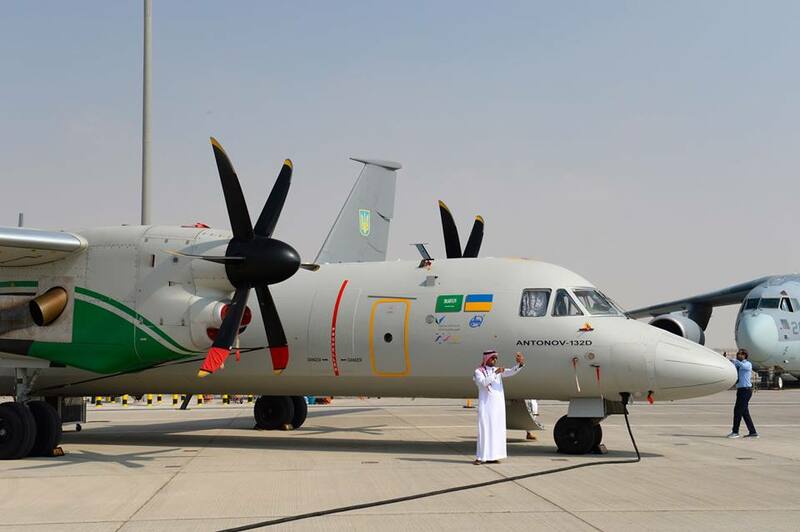 ANTONOV Company presents the AN-132 program together with Saudi partners. The AN-132D took part in the demo flights program. Test crew captained by Bohdan Zagorulko, test pilot of the 2nd class, co-piloted by Andrii Gorin, test pilot of the 3rd class, showed maneuverable characteristics of the aircraft in the sky over Dubai. According to Oleksandr Kryvokon, Acting President of ANTONOV Company, «participation in Dubai Air Show is very important for our enterprise. This is good opportunity to present modern programs, our aircraft to potential customers from Middle East». Negotiations on delivery of components for AN-132 series production, design of new modifications of the airplane, after-sale support of Antonov aircraft operated in the MENA countries were also conducted.